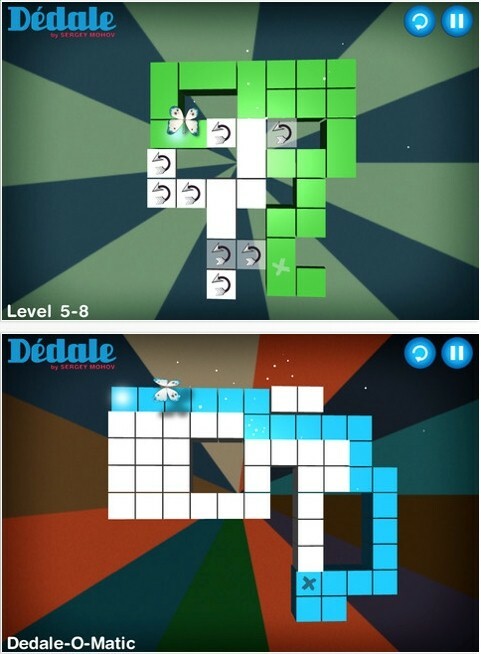 Dedale is a series of challenging maze topology puzzles. The object is to turn the white squares into a color by tracing a path over each square exactly once. 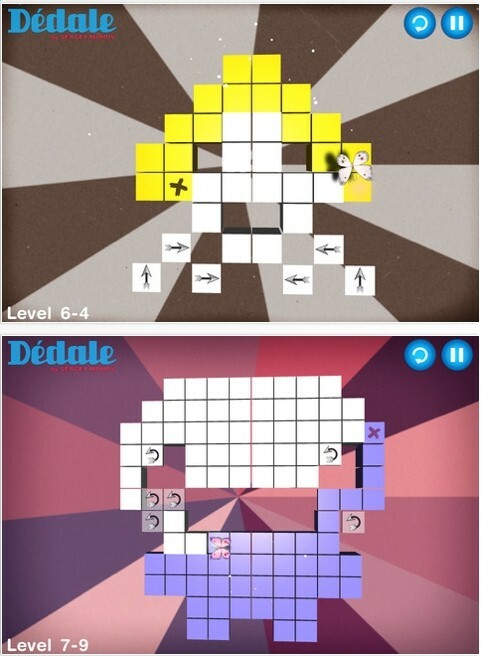 Harder levels: some squares must be passed over twice. Interesting element: some of the tiles are rectangles. I've played different versions of this type of puzzle before: Numeric Paranoia comes to mind. Dedale has 100 levels. Right now I'm stuck on level 49. 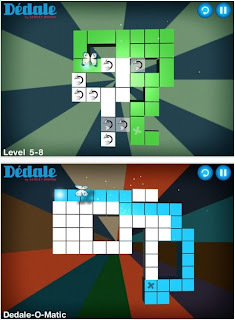 The most important thing: Dedale is fun and challenging. Sergey Mohov is the developer. Click here.